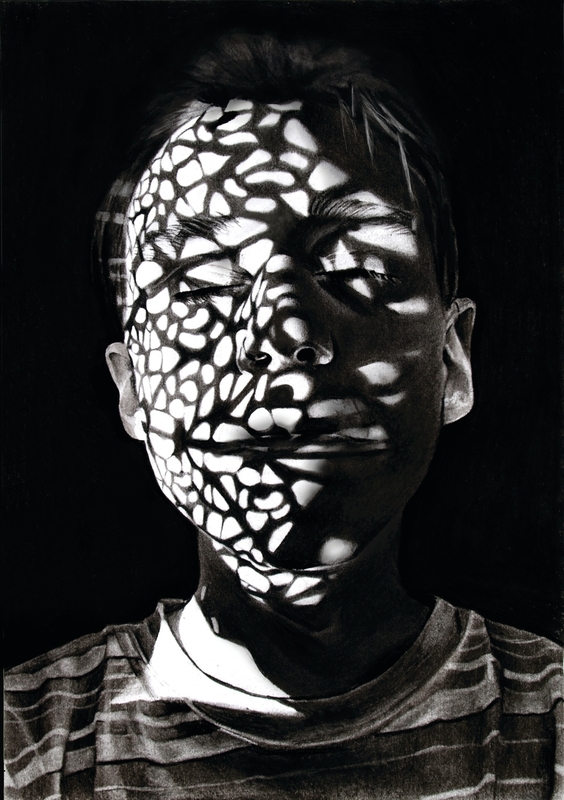 Light, forming patters and hiding us behind a mask of shadows. 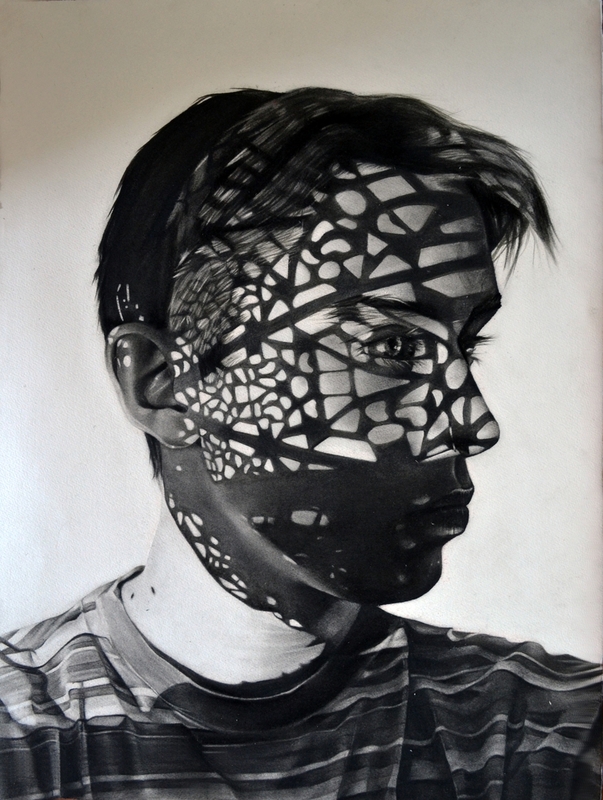 Dylan Andrew graduated at the University of the West of England, where he achieved a BA (Hons) in Drawing & Applied Art. 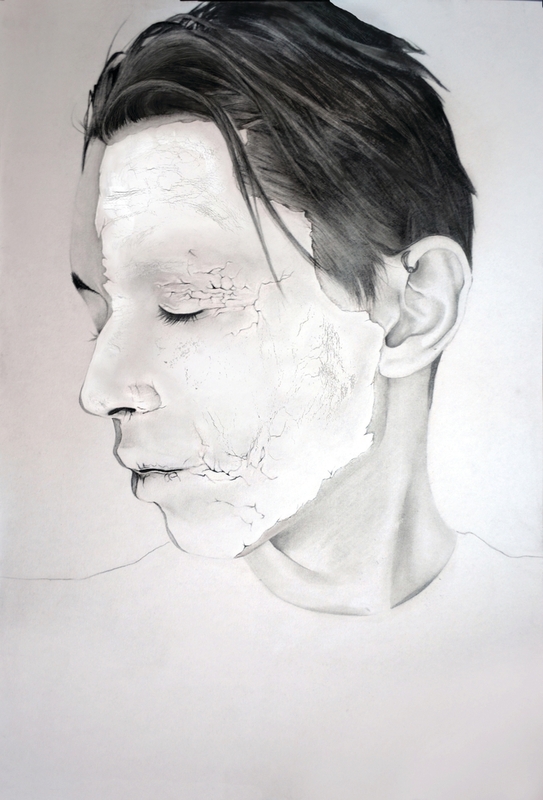 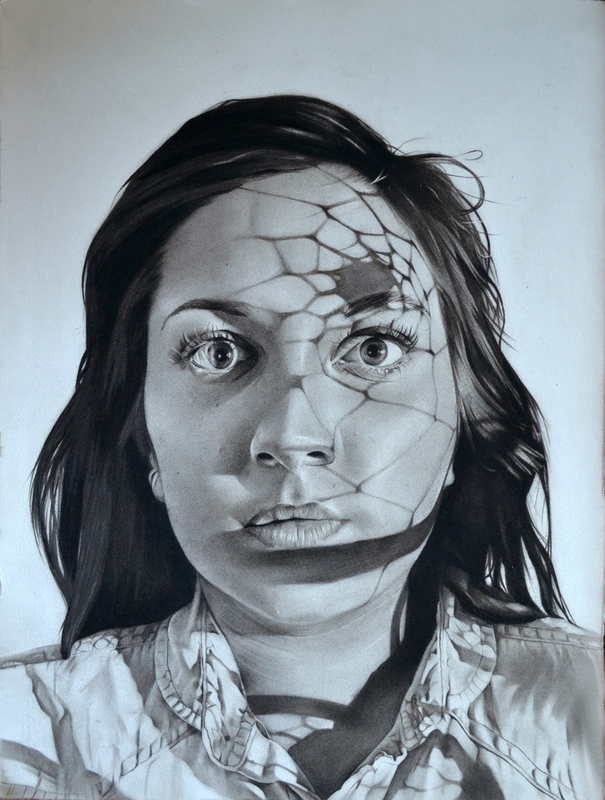 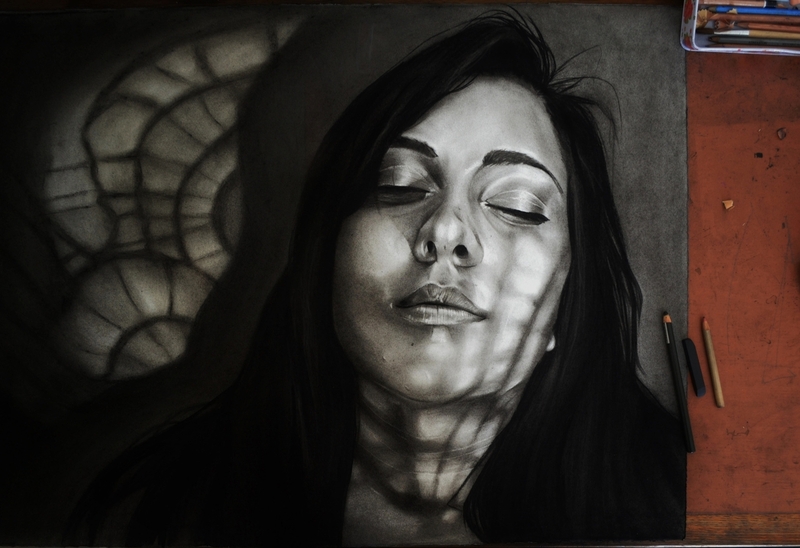 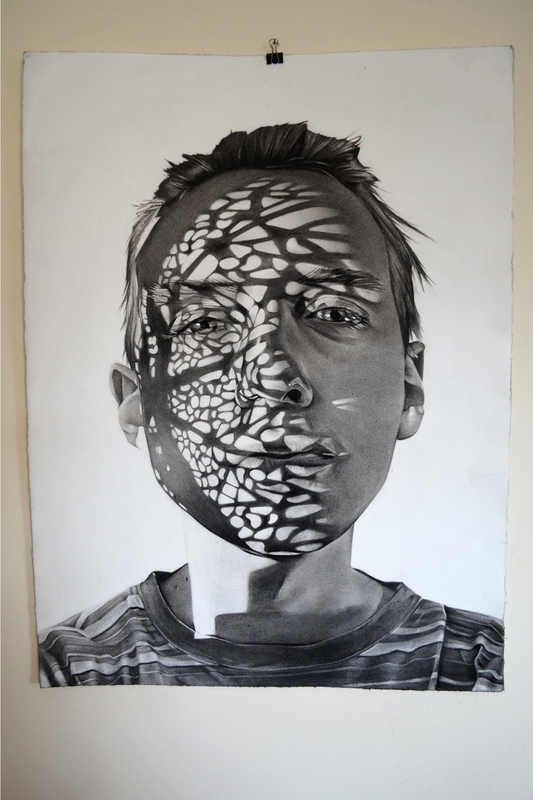 His art is mostly based on portraiture, using the mediums, charcoal and paper. 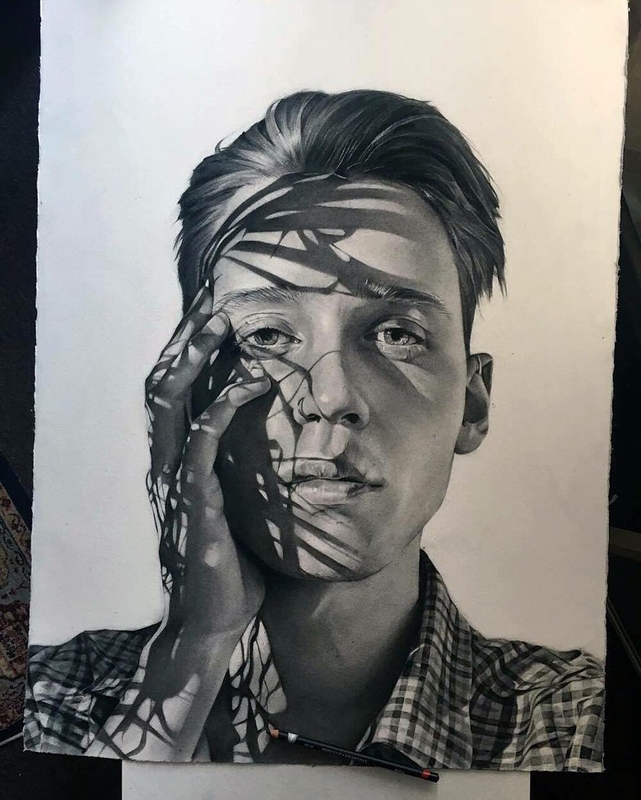 He adds texture to his art by creating shadows that fall on the model's face. 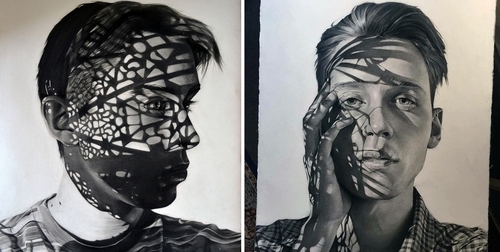 Like a patterned veil of light that acts as a mask, he instantly makes his drawings more interesting. 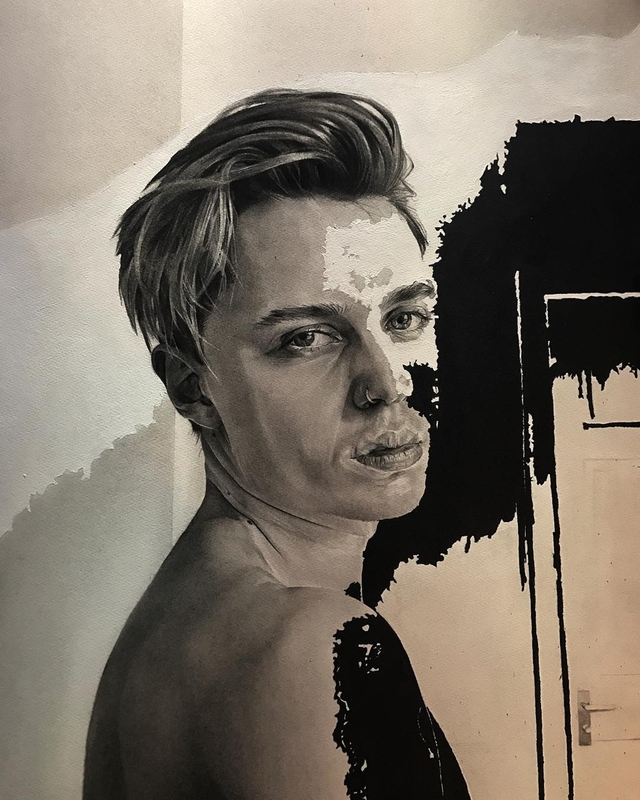 Andrew wants his models not to have an obvious expression, but rather more muted one, that the viewer has to spend time analysing and deciphering, giving them a better understanding of the drawing as a whole.